One of the greatest gifts you can give your kids is the ability to make sound financial decisions. This will greatly impact their own lives, but also the lives of parents (who might otherwise have to take care of their children well into their twenties). 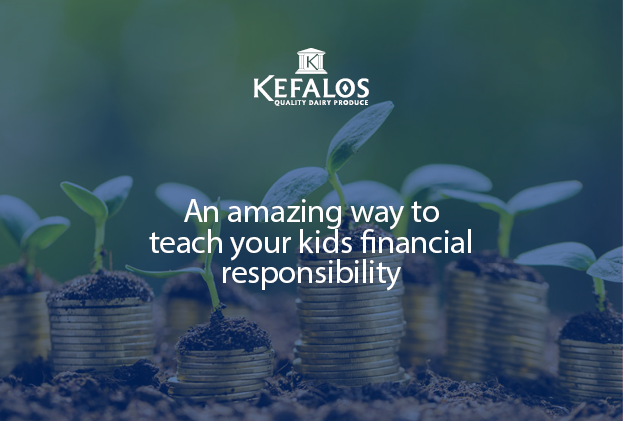 However, teaching your kids financial responsibility – especially when they don’t feel like learning about it – is difficult. There is a way to do it, however, and it’s both fun, engaging and packed with lessons that can teach your children a lot about money and responsibility. Urban Ministries of Durham created SPENT, an online game designed to test how well you’d fare if you were out of a job and low on money. Even though the game was created from an American perspective it has many relatable experiences with us here in Zimbabwe. The point is, that poor money management has dire consequences – no matter where you are in the world. The concept is simple: You’ve lost your job and have no savings. How will you get by? It’s designed for anyone who isn’t aware of the difficulties of low-income life. This is perfect for high school students preparing to leave home to go to university, get a job and manage their own financial lives. How do you play it and what can you learn? Start here and accept the challenge to make it through the month without becoming homeless. After explaining your situation, the game begins by giving you options for work: Restaurant Server, Warehouse Worker and Temp. To be a temp worker you need to pass a typing test. The other two options will let you start straight away, so at least you don’t have to worry about unemployment in this scenario. Once you’ve got a job, you need to choose the most affordable housing – and it’s not just as simple as living outside the city. There are other costs too. SPENT helps you do the maths by calculating how much you’ll spend on fuel according to how far away you live from work. All costs of life are cleverly knitted together and will show you, black on white, what financial consequences your choices have. As you play the game, costs are taken out of your account according to everyday expenses and things you choose to pay for. When payday comes around it tops up your funds a little. You never have a lot, so you’re always watching that dollar figure and wondering what else will come up (sounds familiar?). After each of these decisions you’re reminded of the reality of these choices: People with little income are often underinsured because the cost of insurance is too high for them. Many low-income earners go to public libraries to go online because they can’t afford it at home; and people will choose to keep their kids home from parties because they can’t afford a present. Another factor of this game is the reality of choosing to ask your friends for help. If you opt to ask a friend to help you out, you’ll be directed to a Facebook link post. You can choose to send a message instead, but the sentiment is clear: If you can’t bring yourself to ask a friend for help in a game, you would feel terrible if you had to do so in real life. How to create an opportunity for learning? Play the game yourself first and familiarise yourself with its rules and mechanics. Click here to play the game. Make sure to take notes about what key lessons you got from it and share them later with your kids. Set a time and date for you to play the game and talk with your kids about living the “SPENT” life. Use this as a moment to have a real conversation with your kids about what goes into their well-being – what matters to you and them? Emphasise that financial hardships are like a preventable disease. They require a disciplined lifestyle in order to avoid them. Did you make it through the month? Do you think a game like this will help your kids to learn more about financial responsibility? Let us know in the comments!